How'd you get into volleyball: I grew up playing hard-court as a kid through school. 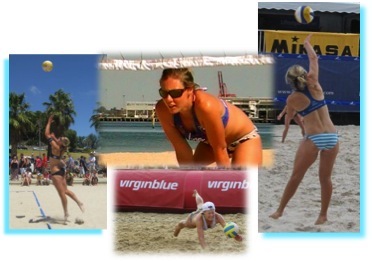 I moved to Beach Volleyball at 22 as I was sick of getting benched, being only able to play back court or being completely at the mercy of the coach and it seemed the right time to make the switch to the sand. Goals: To be the shortest Aussie player to compete on the International arena, and to beat players who are perceived to be better than me! Apart from striving for the best in my game, I also help those just starting out get into the sport. Our company Beach Play assists in getting as many youngsters out onto the beach and engaging in their first battles on the sand.